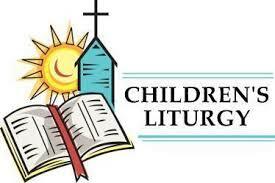 During the 10 am Mass on Sundays, the children are invited to share in the enjoyment of the parish's thriving Children's Liturgy Group, celebrating the Liturgy of the Word in St Dunstan's Hall. The group is run by parents and helpers of the parish. The Liturgy of the Word is presented in a child-friendly way and each week an activity in the form of a craft or game is undertaken in order to help the children's understanding of that week's Gospel. Children are safely escorted to and from the Parish Hall, leaving parents free to enjoy Mass. There are many activities for children organised during the year: for example, a Christmas Nativity Mass, Lenten activities and an Easter egg hunt in the convent garden.